The change amounts to nine more oil tankers on the Bay every year. Any increase in the transport of this heavy crude oil across the Bay raises the risk of a disastrous oil spill. And there's a greater danger in allowing Phillips 66 to gradually refine more tar sands oil. 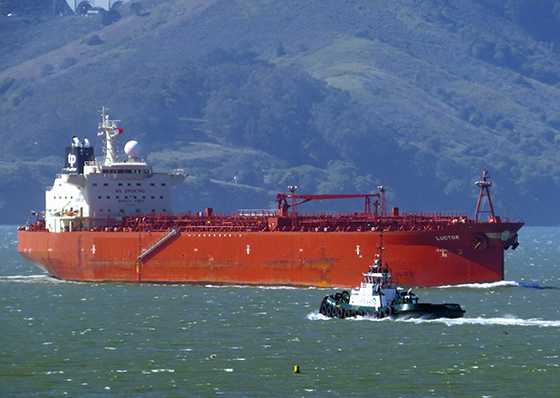 It moves the oil company closer to its goal of more than doubling the number of tanker ships permitted to transport crude oil across the Bay to its refinery—from 59 to 135 tankers per year. Unlike lighter oils, which float on the water's surface, and can be at least partially skimmed and removed, tar sands oil sinks. If spilled in the Bay, it would likely sink to the bottom, smother plants and wildlife, and irreparably harm the ecosystem. Baykeeper worked in coalition with community and environmental groups to successfully defeat two previous Bay Area oil industry expansion proposals, in Pittsburg and Benicia. Using the same coalition strategy, we'll keep fighting to prevent any increase in oil tankers carrying dangerous tar sands crude oil across San Francisco Bay. Learn more about Baykeeper's work to keep tar sands crude oil from harming San Francisco Bay. Politicians, journalists, and international dignitaries are gathering this week in San Francisco for the Global Climate Action Summit to plan for the "decarbonization" of the world economy. Baykeeper Staff Attorney Nicole Sasaki is participating several events, including the summit's Water Pavilion, which focuses on water's role in stabilizing the climate and building resilience to the impacts of climate change. Baykeeper staff also attended the Rise for Climate March in the run-up to the summit last weekend. Amid these important discussions, the fossil fuel industry continues to push for expansions in the Bay Area. As described above, Phillips 66 recently secured approval to process more crude oil at its Rodeo refinery. And a massive coal export facility in Oakland is in the works despite strong local opposition. These fossil fuel expansions will contribute to increased greenhouse gas emissions and raise the risk of pollution in San Francisco Bay. 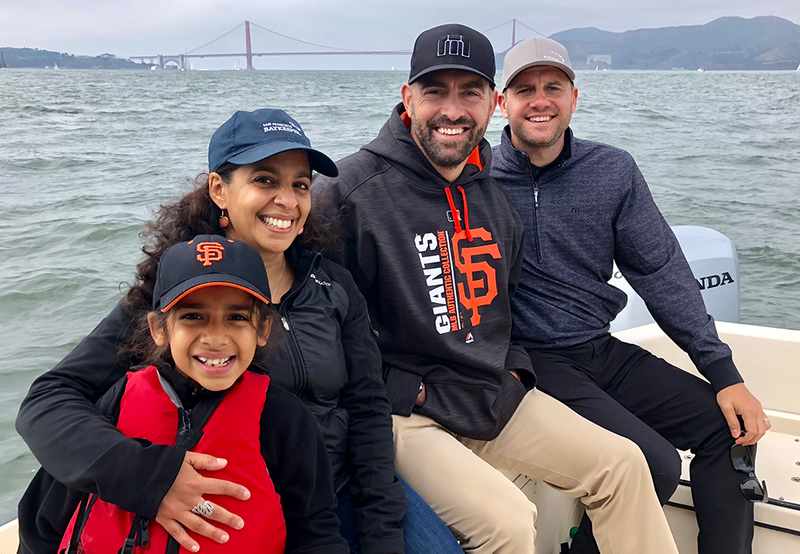 "While cities, environmental groups, and residents are grappling with global climate change, right here in the Bay Area the fossil fuel industry is attempting to expand its dirty operations," says Baykeeper Executive Director Sejal Choksi-Chugh. "This is a huge risk for the Bay and counterproductive for climate change mitigation efforts." 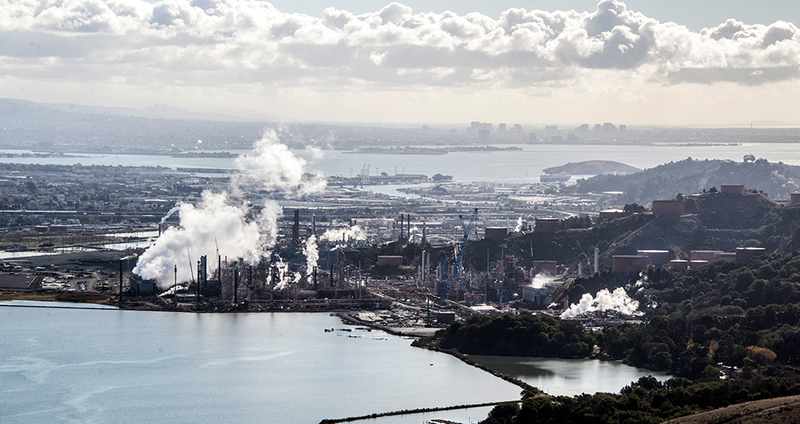 Working with community and environmental partners, San Francisco Baykeeper is fighting to stop additional refinery expansions and ban coal exports out of Oakland. In a victory for the Bay—and the entire state—Governor Brown has signed two bills that will help prevent new offshore oil drilling along California's shoreline. Senate Bill 834 and Assembly Bill 1775 were created in response to the Trump administration's reckless plan to allow expanded ocean drilling around the country, including along the Northern California coast. To prevent this, the bills prohibit the construction in state waters of pipelines and other infrastructure essential for transporting oil from offshore rigs to local refineries for processing. There is no such thing as a spill-resistant oil rig. Any drilling near San Francisco Bay or the northern coast of California would significantly increase the risk of an oil spill in the Bay. Baykeeper advocated in support of this legislation, and we applaud the California legislature and Governor Brown for taking action to prevent offshore oil drilling. We'll continue to support proactive measures to prevent an ecological disaster in San Francisco Bay. Read more about California's new offshore drilling legislation. Fresh water flowing through the Delta to San Francisco Bay is essential for the health of habitat and wildlife, particularly fish. But massive volumes of water are being diverted for cities and farms. Some rivers have up to 95% of their natural flow removed before reaching the Bay-Delta estuary, with a devastating impact on native fish and the entire ecosystem. With increased efficiency, conservation, and water-saving technologies like water recycling and rainwater harvesting, these excessive water diversions wouldn't be necessary. Baykeeper is advocating for using water resources more efficiently, rather than sucking the San Francisco Bay ecosystem dry. The State Water Board is creating a new plan to control how much fresh water should flow through the rivers feeding the Delta and Bay. Unfortunately, the Board's plan leaves less water in the rivers than what's needed. 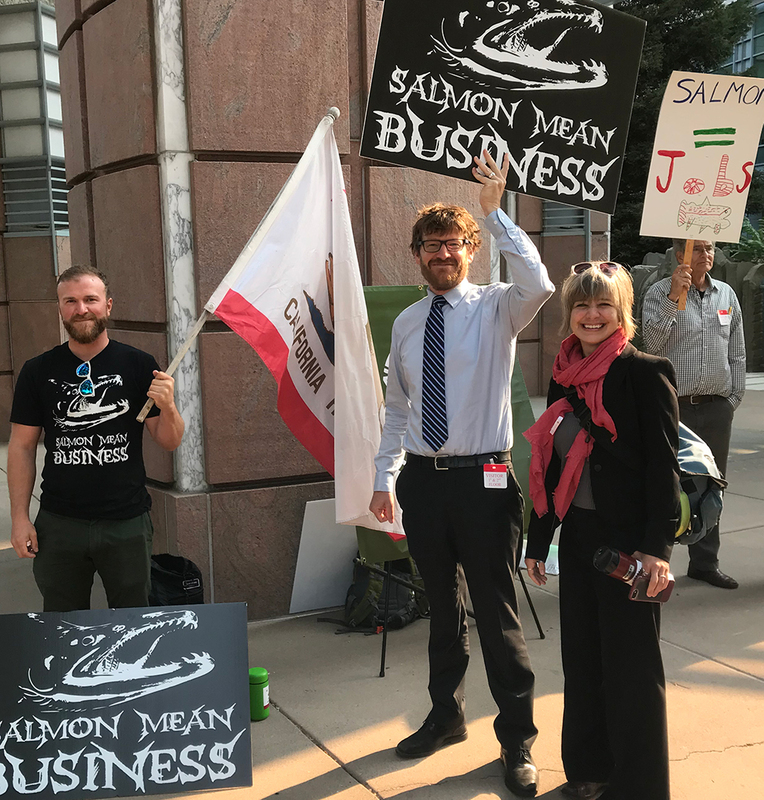 During a recent hearing in Sacramento, Baykeeper Staff Attorney Ben Eichenberg joined a coalition of partner environmental organizations, Indian tribes, and fishing organizations to advocate for the Board to adopt healthier flows. Read more about our coalition work to fight for fresh water flowing into the Bay-Delta estuary. 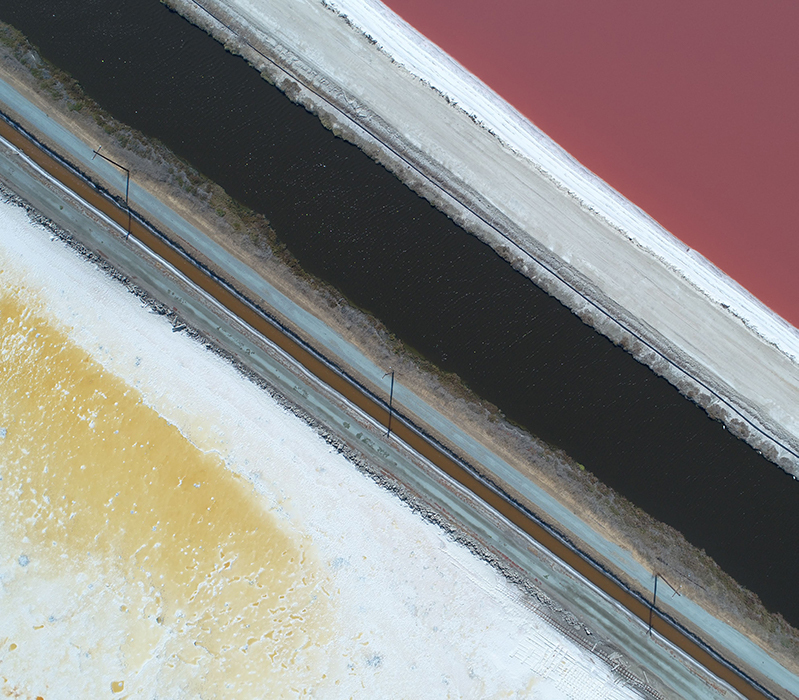 Last week, Baykeeper's aerial patrol captured dramatic drone footage of industrial salt ponds in the South Bay (pictured). 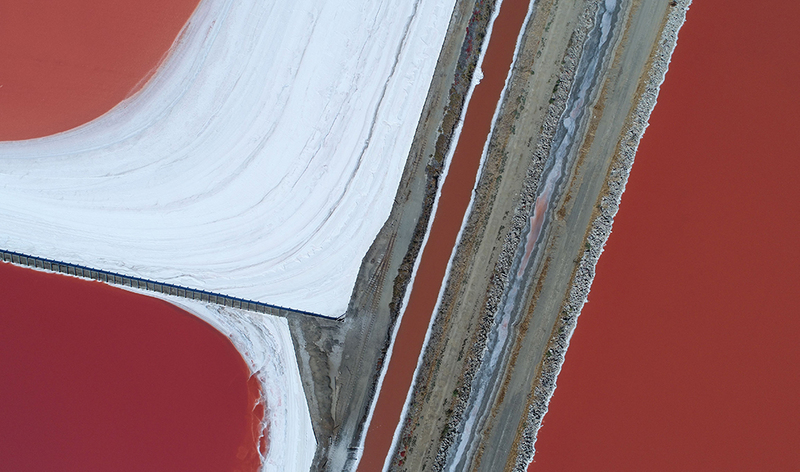 The bright colors of the ponds–which you may have spotted when traveling by plane in the Bay Area–are caused by microorganisms' reactions to salt. The higher the salinity, the redder the ponds become. The area used to be marshland, but it was converted into evaporation ponds for industrial-scale salt harvesting in the 19th century. Salt is still produced in the ponds by the company Cargill, mostly for industrial purposes. But the salt ponds are currently undergoing an important transformation, with more than 15,000 acres slated for restoration. The restored areas will be reconnected to San Francisco Bay and returned to marshland, providing vital habitat for wildlife and a natural buffer against sea level rise. Going to the Eat Real Fest this weekend? Your bar tips will go directly to supporting a healthy San Francisco Bay. The Eat Real Festival takes place Friday to Sunday along the Jack London Square waterfront in Oakland. It features artisan street food, craft beers, local wines, and mixed drinks, using regionally sourced and sustainably produced ingredients. There is no entrance fee. If you're enjoying beer or wine, drop a donation in the Baykeeper tip jar to help protect the Bay from pollution. Eat, drink, and tip generously to support a healthy Bay! For more information, visit the Eat Real website. Coastal Cleanup Day is the world's biggest volunteer day protecting the environment, with thousands of beach and shoreline cleanups around the globe. 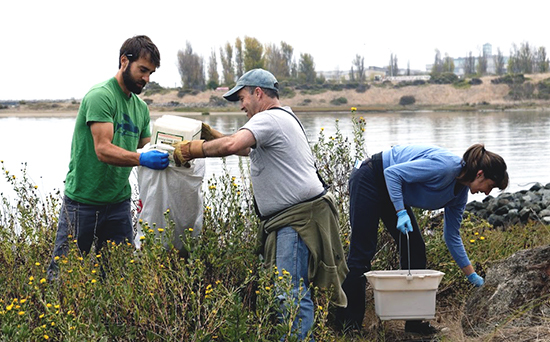 Every year, Baykeeper hosts a Coastal Cleanup Day cleanup to keep trash out of San Francisco Bay. In 2017, our volunteers cleared more than 300 pounds of trash—over 7,000 items—in just three hours! We're hoping to get the shoreline even cleaner this year. The Baykeeper cleanup at India Basin is currently full, but there are lots of Coastal Cleanup Day volunteer opportunities around the Bay. Click here to find cleanups along the Bay shoreline, plus dozens more along creeks that flow to the Bay. For details about the Baykeeper cleanup click here. 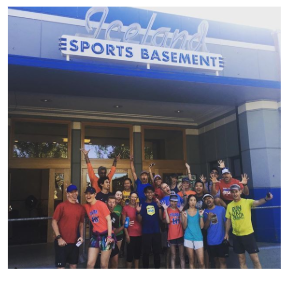 In celebration of Bay Day on October 6, Baykeeper is holding a combo shoreline cleanup and fun run in South Berkeley with our friends at Sports Basement. The event will start with an optional 5k run from the Sports Basement store in South Berkeley to the Berkeley Marina. Volunteers will gather at the Shorebird Park Nature Center and clear away the trash and debris polluting the Bay shoreline. After the cleanup, volunteers will have the option of running (or taking more conventional transport) back to the Sports Basement store for a free pancake breakfast celebrating the Bay. Baykeeper Field Investigator Sienna Courter headed to the Hamilton Wetlands in Novato last week with representatives from the California Office of Spill Prevention and Response (OSPR). We're working closely with OSPR to analyze how oil spills affect sensitive sites around the Bay, and the best ways to protect those areas when a spill does occur.